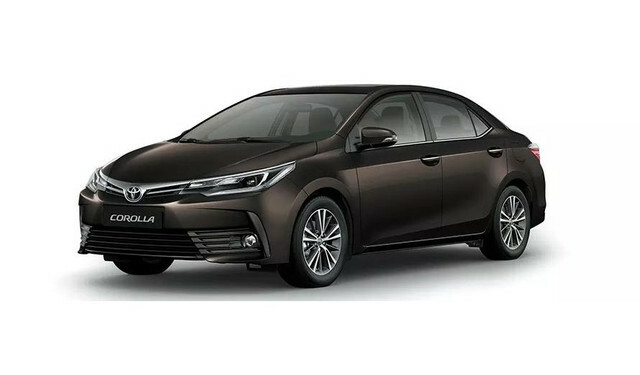 Toyota Corolla Gli 2018 is another sedan introduced by Toyota, which is ranked on top of new cars list in Pakistan It comes with an innovative shape narrow side swept headlights and an accenting chrome, which makes it look appealing in an extravagant manner. The launch date of Toyota Corolla Gli 2018 in Pakistan is also revealed by the Toyota officials in Pakistan. The interior of this amazing vehicle will be a combination of beige and black plastic trim pieces. The release date of Corolla Gli 2018 is yet to be announced by the Toyota officials. Toyota Corolla GLI 2018 price in Pakistan starts from Rs.21,49,000 to Rs.22,59,000 depending on the variant you select to buy. It surely will be more appealing and attractive as compared to Corolla Gli 2018 Manual. Toyota has recently announced its new model Toyota corolla gli 2018 in Pakistan. This four door sedan by Toyota is going to take over the automobile industry by a storm. The main reason behind the popularity of gli 2018 in Pakistan is its competitive price and extravagant design. Toyota 2018 models completely comprise of extravagant design and specs which surely be loved by the Toyota fans in Pakistan. The price of 2018 model Toyota is also reasonable as compared to its competitor’s automobiles available in Pakistan with similar engine specs and features. 2018 corolla gli comprises of a facelifted design, which gives it an overall aggressive and stylish look. Toyota has given it a facelifted design to stay on the top in latest design sedans available in Pakistan. The Toyota Corolla 2018 Gli is launched in the first half of the year 2018. In order to stay updated keep visiting our website comparebox.pk to get the latest news and updates on Toyota as well as other top brand automobiles. I surely cannot wait for the upcoming 2018 Toyota Corolla Gli. By the looks of its interior and exterior in the pictures and video really excites me a lot. I have been a diehard fan of Toyota from my childhood.